What is a Cross-Reference Link? A cross-reference is a link to a text that is in another location in the same PDF document. Each cross-reference is defined by two text strings - one for the text that gets a link, and a second one for the destination of the link. Optionally, a back link is automatically added from the destination text back to the reference text. If there are multiple occurences of the text strings in the document, then multiple links are generated. The AutoBookmark plug-in provides two methods for creating cross-reference links. 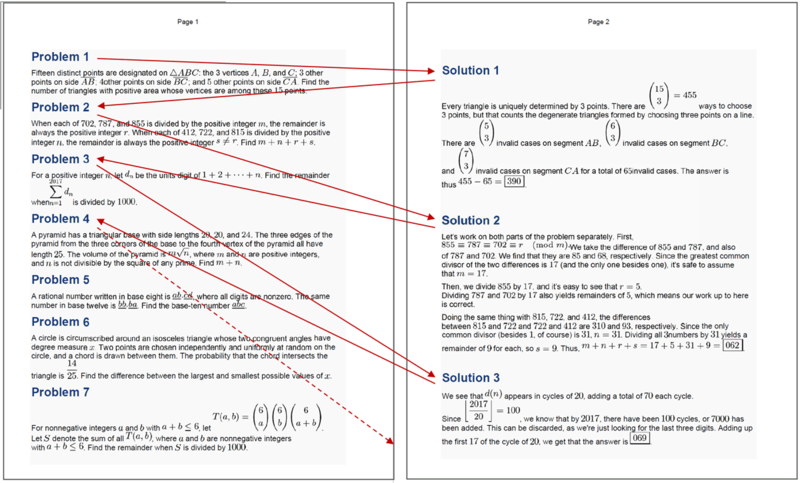 "Create Cross-Reference Links" method builds links based on the list of text reference pairs. "Create Chain Links" method provides a flexible way to generate references between multiple search terms by building "chain" links. Both methods are similar in functionality, but designed for different kinds of linking. Although, it is possible to emulate "Create Cross-Reference Links" functionality using "Create Chain Links" operation. The "Create Chain Links" method provides more flexibility in generating links between text keywords including creating links that jump from one occurence of the same text to another. This operation can create link "loops" for one or more text strings of any length. It is good for linking multiple occurences of the search text into a single link "loop". Use "Create Chain Links" method for automatically linking multiple occurrences of the same (or different) text in a single PDF document into a hyperlink “chain”. The first occurrence of the search term points to a second one, the second one to a third one, and etc. Optionally, the last occurrence of the search term is pointing back to the first occurrence of the term. Each link “chain” is a closed “loop” of hyperlinks that allows jumping from one occurrence of the text to another. What Kind of Hyperlink "Chains" Can Be Created? The software provides a number of options that allows producing different configurations of hyperlink “chains”. It is possible to create either separate hyperlink chains for each search term or create a single chain that includes multiple search terms. Hyperlink chains can span multiple pages or be restricted to a single page only. The software provides control over the maximim length of the hyperlink chains. For example, use this functionality to create cross-reference chains that include only two links. It is possible to achieve a variety of different results by using various combinations of the processing options. 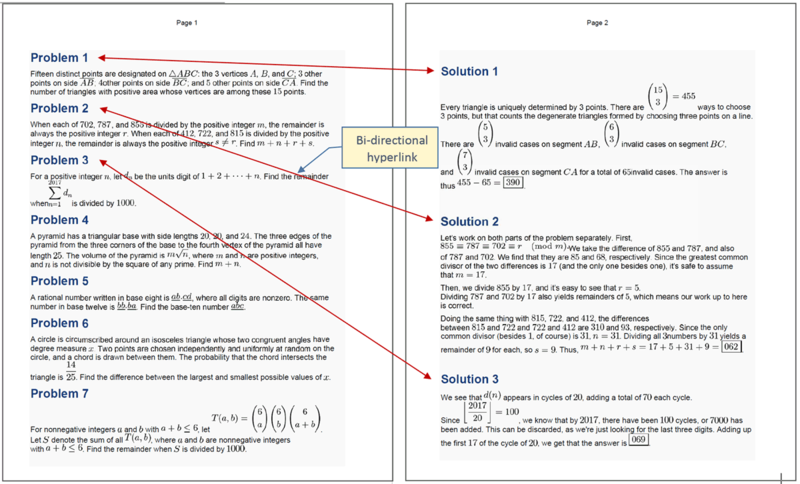 Example 1: Two Separate Hyperlink "Chains"
The below example illustrates two separate link chains – one for “Problem” and one for “Solution” keyword. The arrows illustrate the directions of the hyperlinks. Link chains are not limited to a single page and can span the whole document. 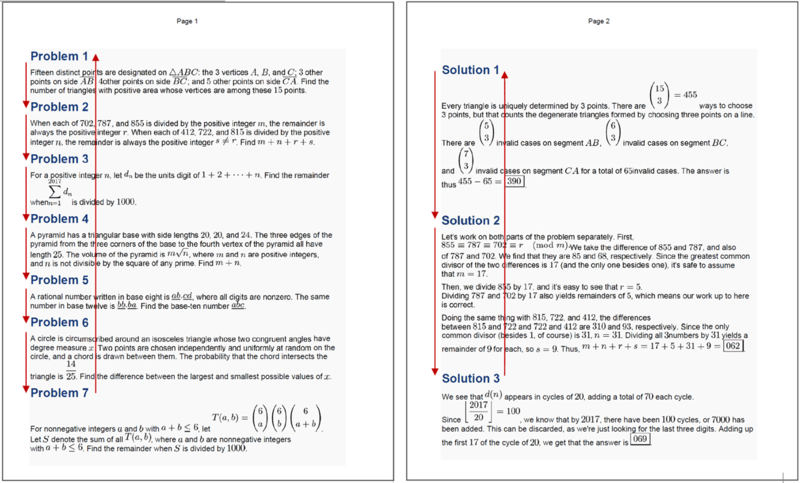 See "Creating PDF Cross-Reference Links" tutorial for the step-by-step instructions.